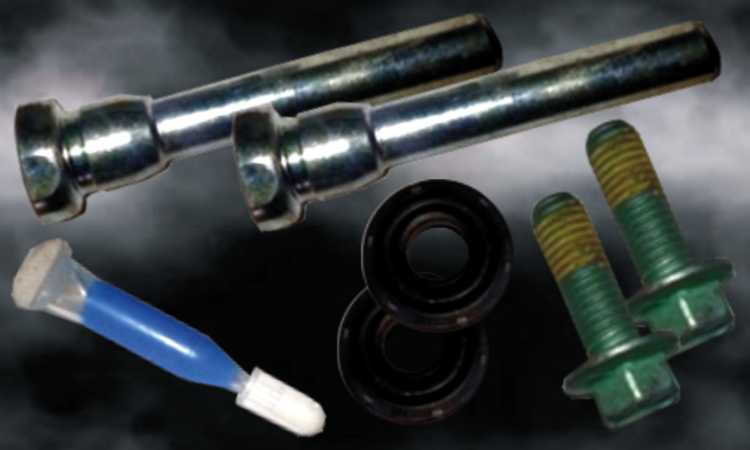 Brake Calliper Pin/Bolt Service Kit (each - for single calliper) comprising Sliders (2), Bolts (2), Rubber Washers (2) & tube of Loctite thread glue. Replacement for OEM part number 68166698AA. Suits Chrysler 300c Generation 2 or Lancia Thema CRD & 3.6L models. Not suitable for SRT8, AWD or non OEM Callipers.